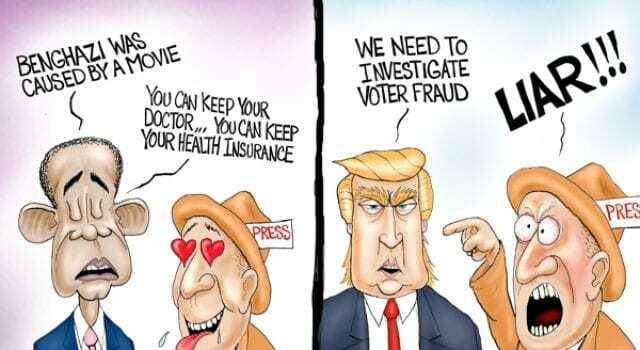 Democrats, Fake News media CNN & MSNBC. Enough already! GROW UP! To the United States Democrat party and to Fake News media i.e. : CNN, MSNBC and others… Enough already! It is time to get it together and do the jobs you are paid to do. I have had it up to HERE with you people trying to find any little thing to hold against President Trump. I proudly served the United States Army for over 13 years with the majority of my service under the leadership of President Barack Obama. I can tell you openly how much I hate the man, and think he was the worst President in the history of the United States. But I was an adult. I served honorably under his command, or lack thereof, with 2 tours of duty to Afghanistan under my belt. Democrats, grow up! There is so much going on in the world that you are intentionally keeping away from the public. Besides the obvious war on radical Islam, the Democrats and fake news focused on a picture of Kellyanne Connway taking a picture on her knees. Then, like children, made nothing into something and turned it into the most ignorant rants I have ever seen. Of course, since you do not broadcast real news, people talk about this issue, rather than the fact that a Palestinian terrorist who murdered 2 Israelis is taking the lead and organizing the next women’s march, which is nothing more than an anti-Trump march. Now you all are trying to oust President’s Trump Attorney General pick, Jeff Sessions, with a Russian conspiracy. More and more you are losing credibility. Where was all this outcry when Obama gave billions of dollars and eased sanctions on a nuclear Iran deal? Billions of dollars going to a regime who calls for your death. Where was the outcry when Hillary sent money to Russia amid the uranium deal? Enough double standards. Besides, if you truly want to see the Trump-Putin connection/conspiracy here it is. Yes it is me. The straw that broke the camel’s back was the audacity that Democrats who attended President Trump’s speech had when they did not properly honor the wife of a fallen hero. How dare you call yourselves We the People! You came into Trump’s address dressed in all white, but I noticed you forgot your hoods. I am ashamed you all are American government officials. At least the Left-wing liberals in Israel honor the military. I am disgusted by your behavior, along with the fact that your new DNC Chair Perez threatened President Trump with the words, “I am your worst nightmare”. Get your act together. Stop acting like an enemy of America and work with President Trump together to make the country of my birthplace great again. Next articleWhy did John McCain ILLEGALLY enter Syria last week?